Temples, trains and turtles in Sri Lanka and Maldives! 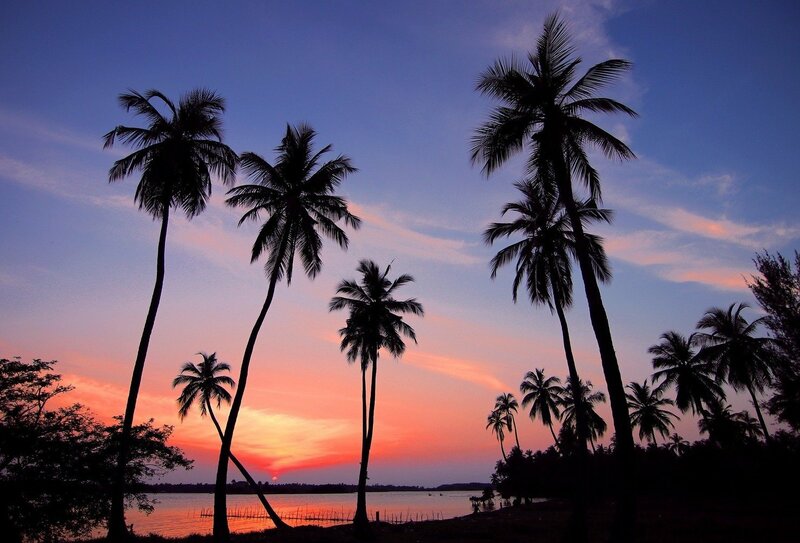 Jet over to sunny Sri Lanka and discover the beautiful landscapes, beaches and cultural sites of this incredible country. Starting in Negombo, this tour ticks off the biggest and best sights, including Sigiriya Rock, Uda Walawe National Park and Mirissa. Along the way, you’ll get involved with fantastic included activities, including a whale-watching cruise, a cooking class and a turtle sanctuary visit. You’ll also have plenty of opportunities to just relax and soak up the glorious sun! If you want even more adventures, why not book an add-on adventure in the Maldives and enjoy beach time and watersports in paradise? Learn how to prepare 4 Sri Lankan curries at an included cooking class! 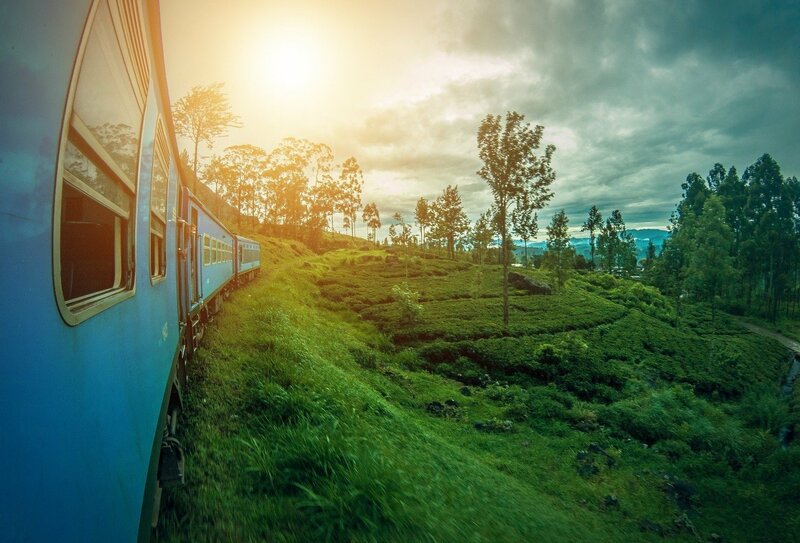 Travel from Nuwara Eliya to Ella by train – voted one of the best journeys in the world! Supercharge your experience with an add-on adventure in the beautiful Maldives! Day 1: Welcome to Sri Lanka. Touch down in Sri Lanka and meet your tour guide in the airport, who’ll transfer you to your starting accommodation. Tonight, get to know the rest of your group over a welcome meal and drinks in town. Dinner included. Day 2: Negombo/Dambulla. Wake up and grab some breakfast before heading to your hotel for a relaxing afternoon by the pool. Enjoy an evening visit to the impressive Dambulla Caves. Breakfast included. Day 3: Sigiriya and Pidurangala. Wake up before the sunrise to climb the magnificent Sigiriya Rock and then visit the peaceful Buddhist monastery of Pidurangala. 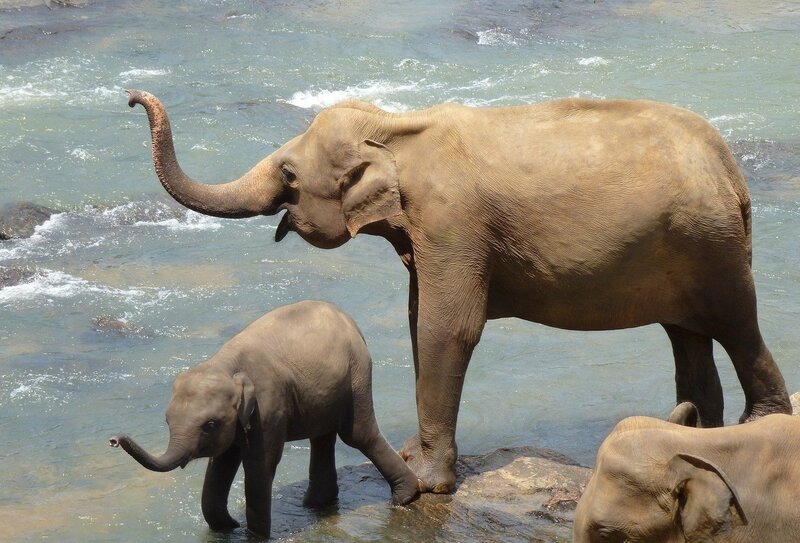 Look out over the gorgeous Minneriya and Kaudulla National Parks, home to elephants and leopards. Tuck into a delicious meal prepared by a local family and then spend the rest of the day as you wish. Breakfast included. Day 4: Sigiriya – Kandy. Wander a fragrant spice garden en route to Kandy. 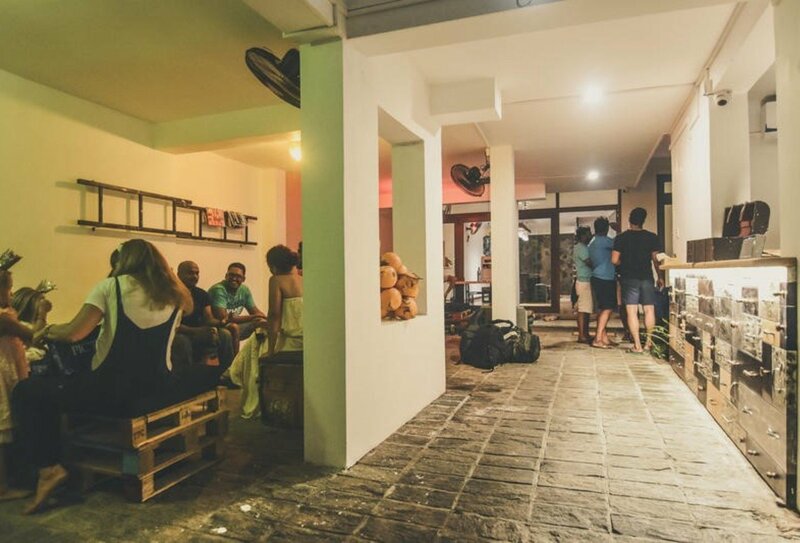 Hone your Asian cooking skills with a Sri Lankan curry making class. You’ll learn how to whip up 4 different curries, and also how to prepare poppadoms and coconut sambal. Breakfast and lunch included. Day 5: Temples and Trains. Visit the Temple of the Tooth, a sacred shrine that is said to house the tooth of Buddha! It’s then time to journey into the mountains. 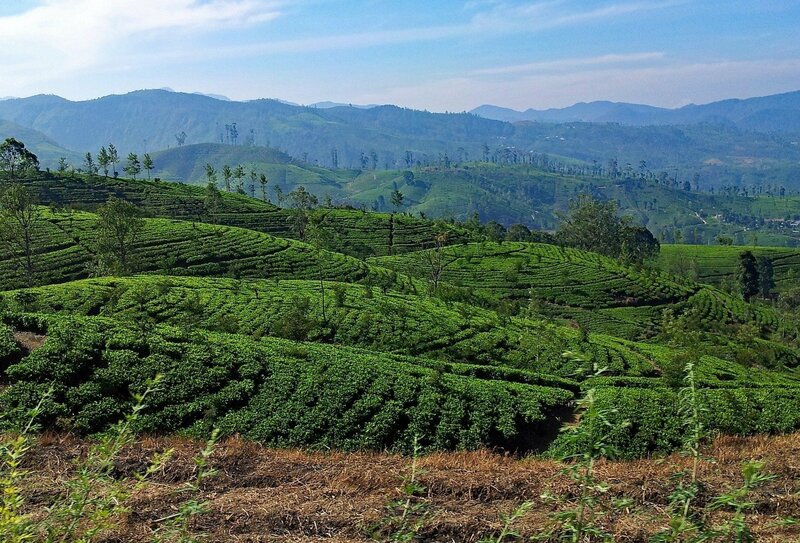 Stop off at a tea factory to see where your morning brew comes from and then climb aboard the train from Nuwara Eliya to Ella. This beautiful train journey has been described as the best journey in the world! Breakfast included. Day 6: Free time in Ella. After a free morning, take a tour of the area, discovering hidden gems such as 9 Arch Bridge and Ella Gap, with its views of the Sri Lankan plains. You’ll then enjoy an unforgettable sunset on Little Adam’s peak. Breakfast included. Day 7: Uda Walawe National Park. Continue south towards Uda Walawe National Park for a safari. Keep your eyes peeled for wildlife, including elephants, buffalo, crocodiles, monkeys, eagles, hawks and peacocks. Next up, a BBQ dinner at camp. Does life get any better than this? Breakfast, lunch and dinner included. Day 8: Beach Bliss in Mirissa. Enjoy a tour of the exotic flora and fauna that can be found in the area. After some breakfast, you’ll journey on to Mirissa, a stunning beach town. Breakfast included. Day 9: Whale Watching. A real treat today! Wake up early and head to the beach for a whale watching boat trip. Look out for gorgeous blue whales and relax on deck, before heading back to the shore for some beach time. Breakfast included. Please note: During the months between June and August, due to poor weather conditions, whale watching will be replaced with an extra safari on day 3. Day 10: Hikkaduwa. 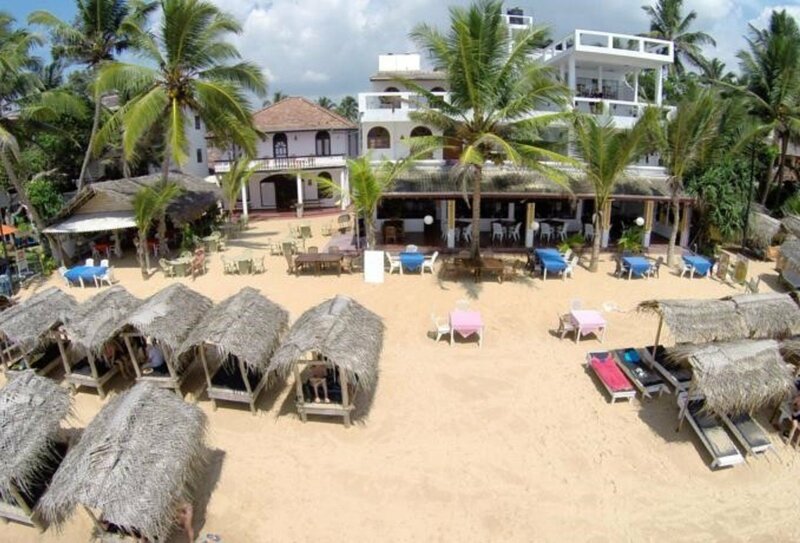 Enjoy a seafront breakfast and then visit the stunning colonial buildings of Galle Fort. Take a bike ride through the surrounding villages and rice paddies and learn how to make coconut rope. The rest of the day is yours to explore, shop and relax. Breakfast included. Day 11: Turtles and Colombo. Visit a turtle sanctuary, where injured and newborn turtles are nurtured and cared for before being released back into the wild. Arrive in Colombo and explore. Tonight, say farewell to your group over a meal and then party long into the warm night. Breakfast included. Day 12: Tour ends. Exchange contact details with your group and then head over to the airport. Your incredible Sri Lankan tour has come to an end! Breakfast included. 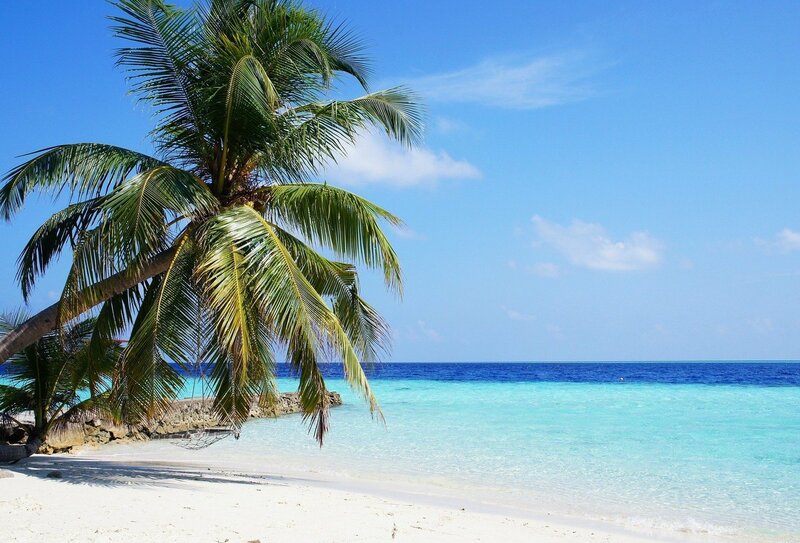 Add-on Adventure: Discover the Maldives! Not ready to go home? Supercharge your adventure with this epic 5-day experience in the Maldives. Day 1: Arrive at Male. Touch down in Male and take a speedboat or seaplane across to Mafushii. 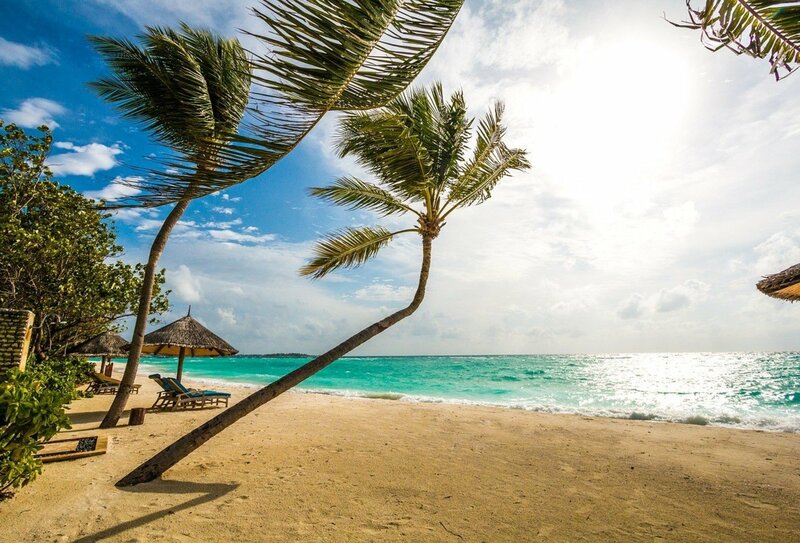 Settle in to your gorgeous beach resort. Day 2: Relax. Today is dedicated to relaxation. Head across to an exclusive Maldivian resort and stretch out on the white sand beaches and wander the lagoons and colourful reefs. Paradise! Day 3: Watersports. Get involved with the epic watersports that are on offer in the Maldives. Discover an underwater world, and get up close to manta rays, sharks and even a few shipwrecks! Day 4: Free Day. Enjoy a free day to relax, swim, snorkel and get involved in exciting optional activities! Day 5: Departure. Leave the Maldives behind and head home or on to your next travel adventure. Please note: This Maldives add-on adventure is unguided. Arrive into Bandaranaike International Airport on day 1. You will be met at the airport and transferred to your accommodation with your guide. The tour ends in Colombo on day 12. A return transfer is not included but is easy to arrange. Speak to us about your onward travel plans for advice about your best return transfer options. If you are flying onwards to the Maldives Add-On then you should aim to book a flight from Sri Lanka to the Maldives in the morning. The journey from Colombo to Male airport takes around an hour. You will receive a speedboat transfer upon arrival which will take you to the resort. Please note you must arrive before 5pm in order to get this transfer. 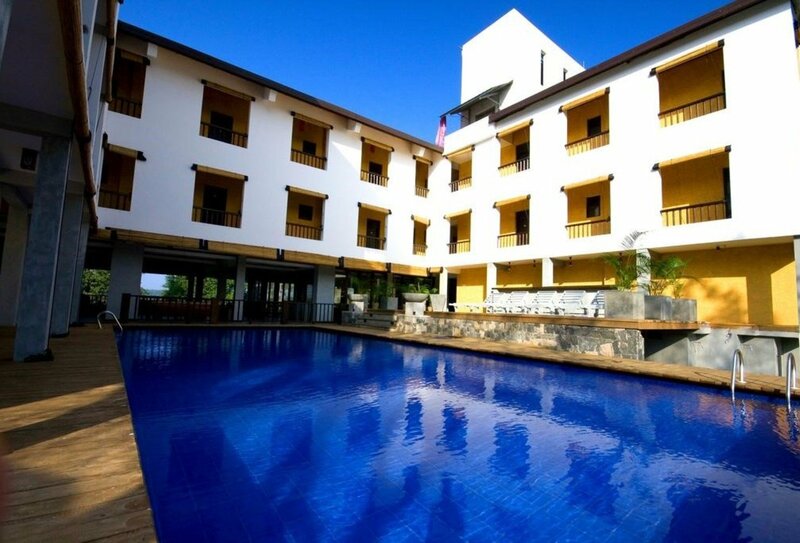 11 nights’ shared accommodation are included. 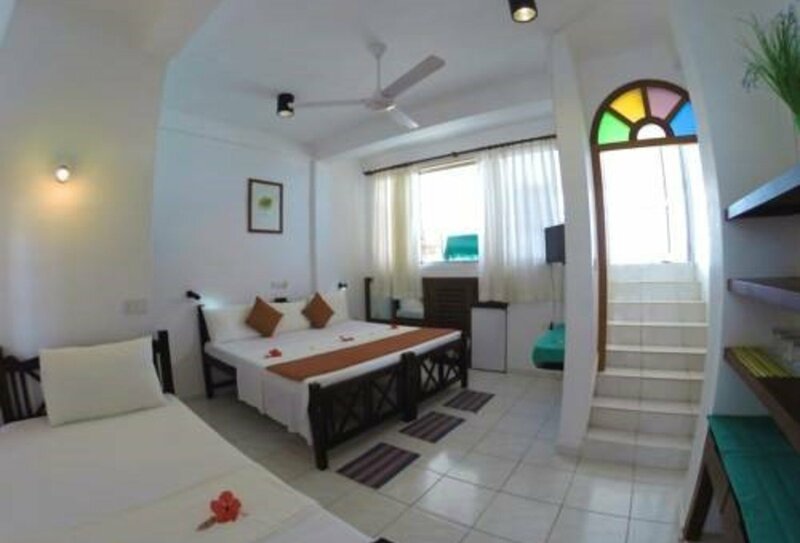 You will stay in a combination of twin and triple share rooms in funky hotels, cool hostels, local guesthouses and safari camps. 11 breakfasts, 2 lunches and 2 dinners are included. You will need to purchase the majority of your meals yourself. This is a great way to soak up Sri Lankan culture by sampling local delicacies and speaking to local people in restaurants and food markets. If you book the Maldives add-on adventure you will also enjoy 4 nights on a beautiful beach front resort. No meals are included. 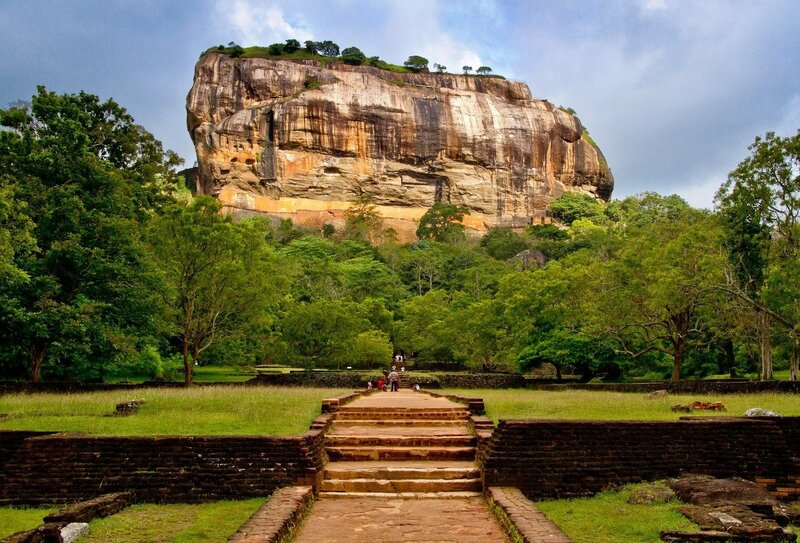 A visa is required for entry to Sri Lanka and must be obtained before you go (at extra cost). You can no longer get a visa on arrival. A short stay visa (for up to 30 days) can be obtained online, through the ETA (Electronic Travel Authority) or through the Sri Lankan High Commission before you travel. You should apply for a visitor’s visa, with your reason for visiting given as ‘travel’. 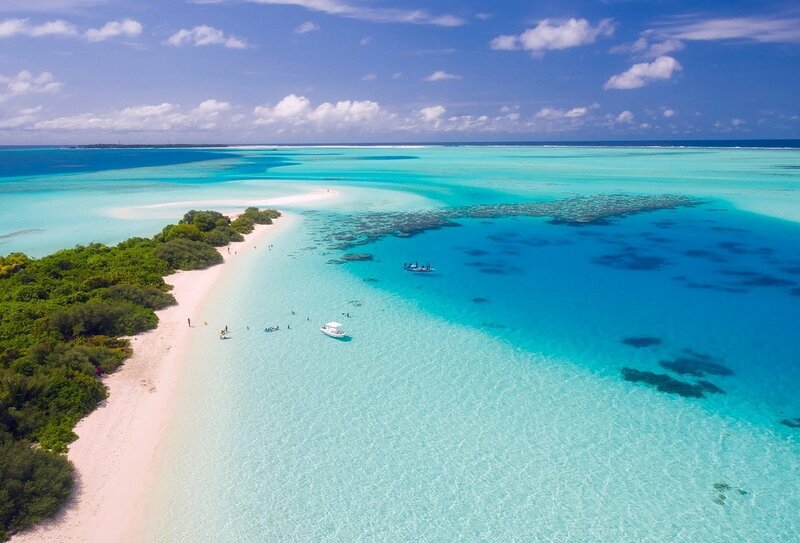 Visitors to the Maldives will be granted a 30-day visa on arrival, providing you have a valid passport and an onward travel ticket.